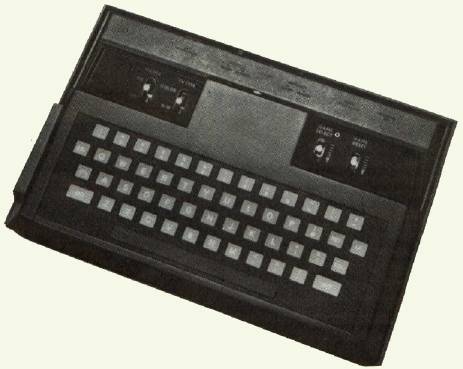 1977 – The “My First Computer” was an add-on to the Atari 2600. This device would turn the game console into a full computer. For $90 you could get 8K of RAM (expandable to 32K), 16K ROM and 8K BASIC. The My First Computer was to tap into the Video Console System (VCS) in which over 10 million have been sold. The keyboard would attach to the top of the console – using the cartridge slot. The rubber chicklet keypad would allow you to type using the QWERTY style.